"Wax On - Wax Off"
In “The Karate Kid” Ralph Macchio did not understand the handyman activities Kesuke Miyagi required of him would give him the skills he needed later in his karate training. The “wax on, wax off” motions taught him the hand and arm movements he needed to win the karate match later in the film, though at the time it seemed futile. I had a similar awaking over the weekend as I was attempting to put together some laundry room cabinets from a kit marketed by Closetmaid. When I first opened the pages of the manual I might as well have been trying to work from the Spanish text as from the English, since none of the instructions seemed to make sense in either language. I decided that a lot of the skills needed to properly assemble the cabinet was the ability to look at the diagrams and decided which piece went where, rather than to try to follow the text. It was then I realized something was strangely familiar and images appeared from the basement of my mind rather than from the print on the white pages. I have put together a lot of similar furniture kits, and never gave thought as to how easy the process usually came to me, no matter how confusing the step-by-step construction instructions seemed. This time I took pause to explore why that seemed so. I trace the roots of my abilities back to my early days in Huntsville when I took great pleasure in assembling Revel and Monogram plastic model kits of airplanes, missiles, and automobiles. In that experience I was taking small parts of plastic and gluing them to other parts, while desperately trying to follow the steps in the order stated. Back then, it was done with unforgiving plastic glue and if I glued the wrong two pieces together and did not quickly pull them apart they were bonded for life. So, it was a skill that I learned early in life that was guiding me in my later life, even though I never thought I was doing anything more than having fun building plastic models. It was actually preparing me for the challenges I would face later in my life. I also found that the course in “fractions” I was taught in school is a handy thing to have studied when you are working with a saw and a piece of wood that requires precise measurements. The old adage of “measure it with a micrometer, mark it with a grease pencil, and cut it out with an ax” does not work in all situations. I have since adopted the “measure it twice and cut it once” as the key to success when working with wood. I did not take shop at Lee, and today I wish I had. I learned how to work with wood and woodworking tools by watching others or reading how to do something. It was usually trial and error that taught me the skills I needed to know. I think it would have been much more fun, and much more educational, had I taken shop as many of my friends did. Of course, we were all limited as to which courses we could take in high school, and it is probably only in retirement that some of us have found the fun in taking courses to learn new skills and knowledge. Many community colleges and even some churches have great catalogs of continuing education courses they offer for free or low cost fees. After I retired from the Air Force, I taught many of the continuing education classes in different areas and taught for four different colleges and institutions and truly loved doing so. I have also taken courses and would take more if it were not for my travel agenda, which keeps me from making commitments for regularly schedules sessions. I still have my plans to do that when I decide to cut back on my trips. I would love to have some of you share your experience in taking or teaching interesting courses in recent years and some pictures to accompany them. Please don’t think that others will not find your efforts uninteresting, because I know they are. Memphis, TN - Well, I dodged the bullet in Memphis last week as far as the bad weather went. I know several of you were not as lucky as Sue and I were and that many of you were up to your knees in snow. I know this because of the post on Facebook and not by emails. It seems that less and less of you are sharing anything in your lives except through Facebook and that my audience has shrunk down to the small group that do not employ that media. I suppose I should take comfort in that fact, knowing that should anything happen to me and the Traveller no longer exists, then at least a group of you will still have a means of staying in touch. Sue and I have elected to postpone an upcoming trip until this weather thing settles down. The trip we have planned to California is one of those where we will fly east to go west and right now "east" is not looking too reliable, as we are reminded by the photos ran in our paper of people sprawled out in an airport terminal. On the 50th anniversary of the journal I kept in high school I am revisiting those entries and evaluating and comparing my life as a 17-year-old in 1963-64 and the times in which I lived to my life today, 50 years later as a 67-year-old. My plans are to share excerpts from the draft of that book with you each week as a way to help recall those days. When I did a similar comparison on the 25th anniversary of the journal I devoted a lot of time explaining each event and each person listed in the journal. This time I am attempting to select one or two main points that best illustrate how the world is different or I have changed in that 50 year time frame. The first entry of each day is a copy of the words I wrote in the journal, followed by my analysis of the comments made. I hope you enjoy the effort. It's another gloomy Monday. After school I went to Mullin's with Paul and his sister, Jane. After we ate we went to Walgreens and I mailed a package to Mother and Clozell - it was a rubber statue of a nutty man in a boat. We went out Murphy's 10 Cent Store after that; then, home. I watched T.V. and practiced on my guitar till 5:30 P.M. Ate supper then started to work on my letter project. Watched more T.V. and practiced more on my guitar. It's about 11:00 P.M. now. I'm just about ready for bed. I'm coming down with a cold. I've got a sore throat now and I'm about to sneeze my head off. The reason I've been practicing on the guitar so much is because the Post is supposed to put on a show in about two weeks. Today we have dollar stores and 99-cent stores that have a ready market for the wares they sell for a cheap price. Back in my younger days we had Five and Dime stores, which we often abbreviated to just dime stores. This was a time when we walked downtown all alone or with friends and spent whole Saturdays away from home without our parents worrying about what we were doing. Often it was “just lookin’” as we would tell the store clerks who asked us if they could help. Our stores in downtown Huntsville were all located on Washington Street and we would travel from one to the other to check out the toys and look at the birds and fish in the pet department. Nothing much else interested me as a boy in the stores then, except the candy counter of course. Shopping in five and ten cent stores was a different shopping experience than shopping today, and the layouts and marketing methods were as well. One noticeable difference was the hours of operation. Normal stores downtown were only open until about five o’clock in the afternoon, including Saturdays and were never open on Sundays. Every Wednesday the stores closed early in the afternoon, a concept that I was surprised to see still taking place in small towns in England when I lived there in the Eighties. Every small village in England had an early closing day, and Huntsville and other towns in the South seemed to have adopted that tradition. To make up for the early hours, some stores stayed open until eight o’clock on Thursday nights. Later when shopping centers began to pop up, store hours in those places changed and they remained open longer, but not the downtown stores. In those days most of the merchandise was displayed on counters and not shelves. Lighting was bad and often dark wood made the stores appear even dimmer, and the ceilings were often made of large squares of decorated tin blocks or sheets. There were rows and rows of counters, some of which had salespeople behind them who offered assistance to the shoppers. Each counter had ample supplies of small merchandise grouped together in bins and within reach of most who wished to look them over. More expensive items were inside glass counters and to view them you had to ask the salesperson to assist you, the same way you still do in jewelry and watch departments today. Some larger items were stacked up on the walls but there were few shelves such as seen in big box stores today. Cash registers were scattered throughout the stores and not centralized as today, but there was usually one by the door to assist people who just popped in to pick up a candy bar or other such item. Many dime stores also featured lunch counters with stools for patrons to grab a quick bite to eat and featured sandwiches and sometimes hot plate lunches. I can still close my eyes and taste and smell the hot roast beef plate with mashed potatoes offered at W.T. Grant’s. The prices at such places were much cheaper than local cafes and often had a stream of steady customers, especially local merchants who had short lunch breaks from their jobs. I remember the downtown stores were not air conditioned most of the time I shopped there, but were cooled by large fans in the ceilings. The stores had dark and had wooden floors and until I started high school or later there were two sets of bathrooms and two set of drinking fountains. One of each was marked “White” and one marked “Colored” and we were taught from our earliest days that we were only supposed to drink from the “White” fountains. It is odd, but that is one of the first memories that come to me when I think about visiting dime stores as a youth. I cannot say when the separate fountains and bathrooms went away, or even when I first realized they no longer did exist. It was not a big deal and no fuss was made in the process. It is only now that I look back that I realize that. The change was so insidious that it just happened, and that was that. Fifty years later it is hard to explain how those discriminations could ever be justified and many of today’s children would never understand any better than those of us who lived through those days can look back and explain how it was allowed to happen. I just wanted to comment on Ann Pat's article and remembrances of her father... BRAVO!! That was a stellar article and thank you very much for sharing. I remember vividly your daddy visiting my daddy many times during their friendship. He always had on the trademark, "white suit, shoes, hat and black string tie." He also had a beautiful head of white hair and a smile that lit up your day! They were good friends and had many long visits. Also, a huge DITTO to Craig's band article and Tommy's comments... my sentiments well said by you both! I remember back in the early 80's when my children were attending Lee I specifically asked WHY didn't the band play "Rebel Rouser" ...the schools anthem... part of the legacy we left them...??? I was told that the title of the song might be offensive to people so it was decided to refrain from using it! They should have just changed the name (of the song) and played the darn song... who cared what they called it!! It's like many other things that have evaporated in our world that we loved and cherished but have been 'retired' for some reason or the other. We shouldn't allow things that aren't broken to be fixed! 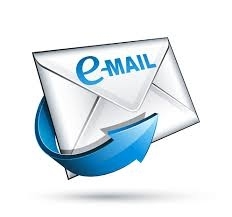 Anyone needing to update their email address should use the link below. Please.